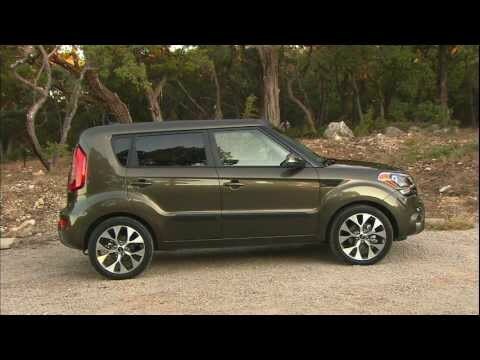 Already one of our favorite high-style compact cars, the Kia Soul got even better for 2012 with upgrades inside, outside and underneath, including a new powertrain lineup that delivers more power and better fuel economy. More than a boldly styled box, the Kia Soul is an affordable and perfectly practical alternative to more mainstream cars. Reliable first time car for high school/college student. My car has been extremely reliable for me. It got me to and from school my junior and senior year as well as my many trips now between college and home on the weekends. I have had the car now for 6 years and have only had minor problems. One of the biggest problems I had with it was the reverse backup camera going out and having to be replaced with a new camera. Thankfully the warranty for the car covered it and I did not pay anything out of pocket. The next biggest issue I had was replacing all 4 tires about 5 years in from purchasing the car due to them dry rotting. I assume the weather where I live had a lot to do with this. Other than that I have had zero issues with the car. It gets me where I need to go, and on top of that it is a very safe vehicle. I love using the cruise control feature when I am on the interstate because it really helps to get the most out of my gas mileage. I would recommend this car to anyone. Love them hamsters. Dogs love hamsters? The 2012 Kia Soul 4 door provides plenty of space for my family of 6, which includes my husband, myself, and our four large (over 60 pound) dogs with their own windows and plenty of leg and tail room. We have a manual transmission, which is a joy to drive, unless you cannot drive such a vehicle.. Ahem.. This car is great on gas mileage. Affordable to say the least. A family car with style and class. My one regret, I bought used and went with a color I did not love.. Silver.. Popular, yes. Next I will branch out and go more girly. No stopping me. I love this car. The Kia Soul is most reliable. Most comfortable. Splurge for Sirius radio. Do not forget undercoating. 2012 Kia Soul. Perfect for single adult living in a city area. My car has been extremely dependable. I have had one fuse issue that was an easy fix. The battery itself was the manufacture battery which I did have to replace. The comfort level is about 2. 5 out of 5. The seats are a little on the firm size. Space is actually a perk. For such a small car I did not anticipate having as much space as I do. There are some occasions where I wish it was a tad bit longer and wider however I make it work. The performance has been wonderful. Features that I enjoy is the Bluetooth capability. It did take me a few years to realize that it was actually able to do that. I think that was at fault of the dealer however.